Conservation science provides a context to help make decisions about restoration priorities at the site. 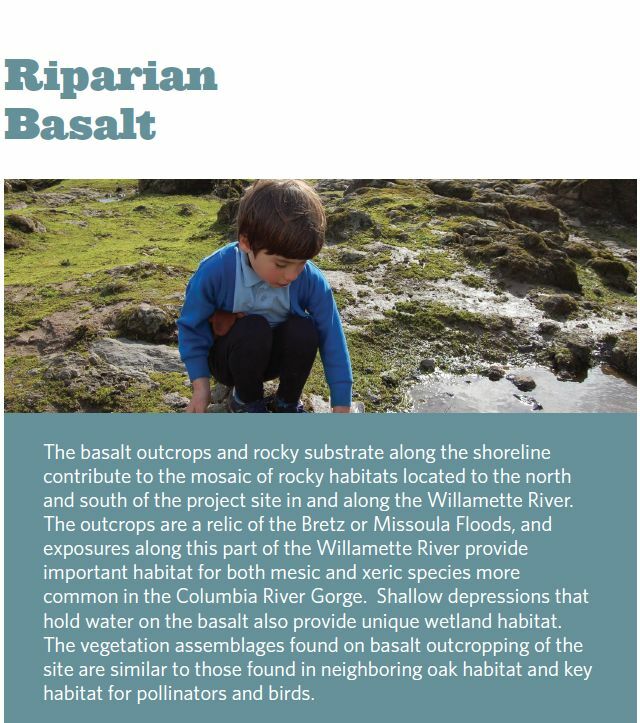 Focusing on science also creates a unique destination where visitors can experience and appreciate Oregon’s natural treasures in the context of a special historic setting. What habitat is here now? What used to be here? How and why has it changed? 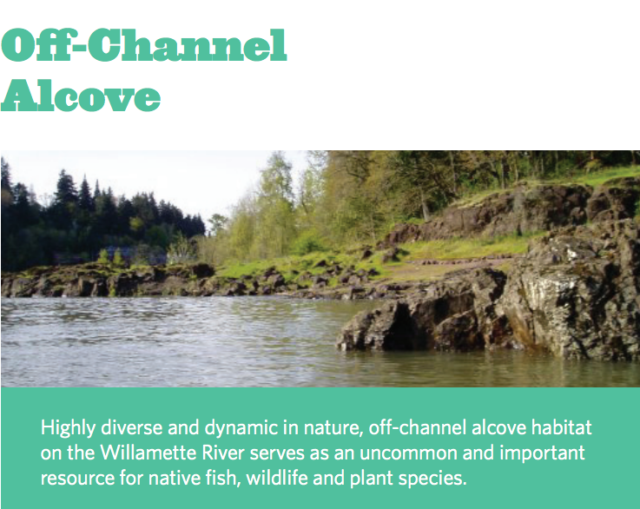 What fish, wildlife and plant species currently use (or should be using) the site? How does the site fit into the larger geographical context of the region? What guiding documents should be considered when prioritizing next steps? What are the regional or state conservation priorities? To understand the best next steps for restoring habitat at the site, habitat types must first be identified. 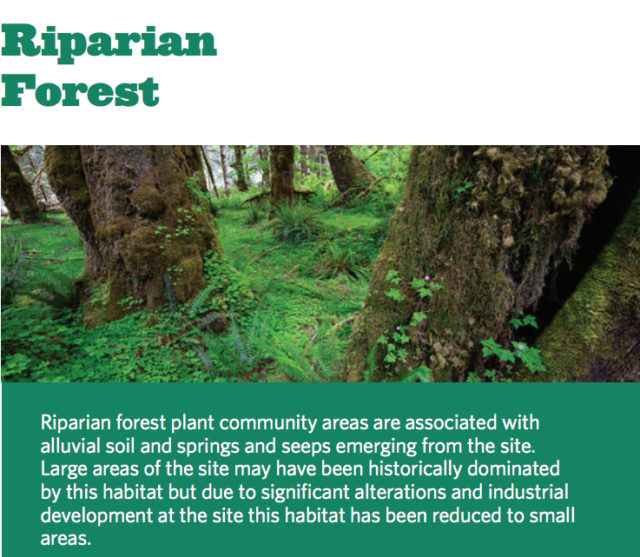 Below you’ll find the six primary habitat types represented at the site, which will set the stage for science-based restoration recommendations and plans. Decisions about habitat restoration priorities are not simple, especially when multiple uses and values come into play. 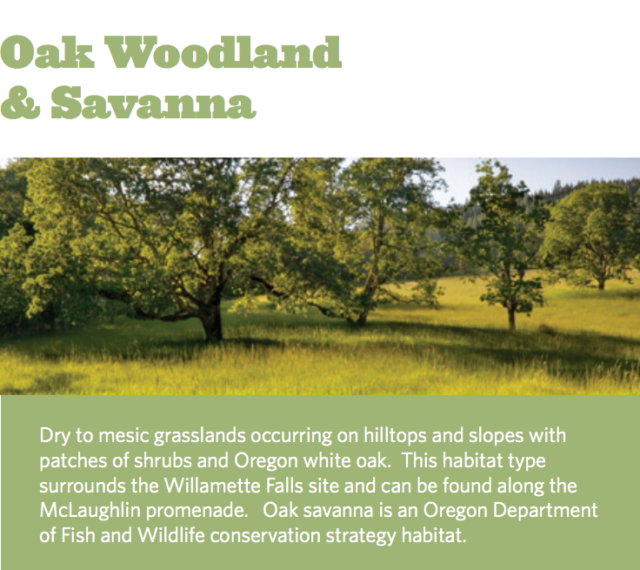 The overarching habitat goal is to move substantial portions of the site toward a healthier, resilient restored habitat. Habitat restoration priorities will be based on a combination of things including habitat type, location, species, timing, partnerships, social factors and the site’s core values. 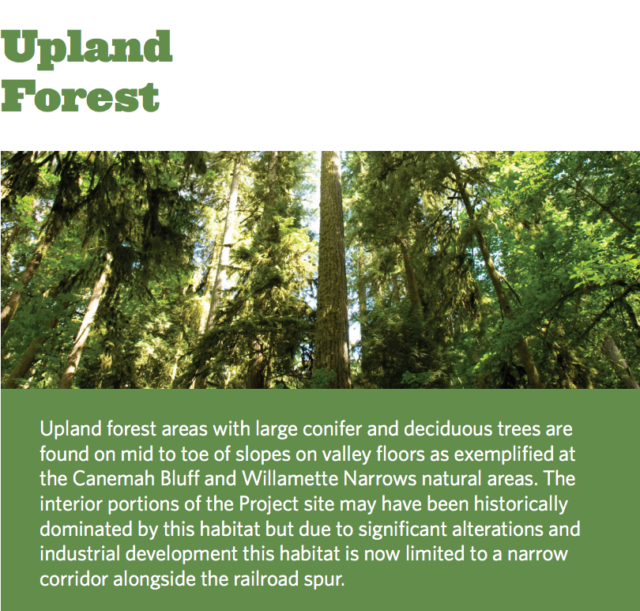 These factors and more will help determine in what areas to limit development and restore habitat at the site. 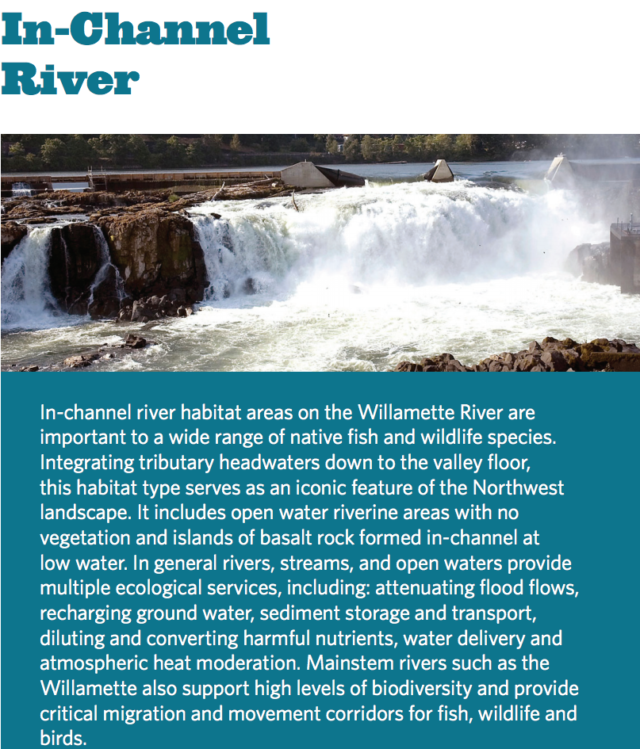 For an in-depth review of existing habitat conditions and future opportunities for habitat restoration at the Willamette Falls Legacy Project site, please read the report we commissioned, Baseline Habitat Conditions Technical Memo.